The main beauty of an affiliate program is how easily you can begin. You can start advertising as soon as you have an ID – usually the same day that you sign up for membership. They will also provide an affiliate web page for you to advertise. All done for you! That is all it takes, along with some disciplined actions to promote the business and a reasonable amount of time to produce results. Along with the tools you need, the program also provides the product that you will be selling. You don’t need to develop your own product or program or know how to build a web page. By becoming an affiliate you have the right to earn money from everything that the program provided to you. Depending on your efforts it could be today, tomorrow or next month that you earn your first commission. All you need to do is to focus on promoting the product. At this point, you have invested very little except some time and effort. The only money you may have spent so far is the membership dues if applicable. Some programs you can even join free and make a decision to upgrade after you have seen what it is about. You are getting a very fair deal in most cases. The vast majority of affiliate programs have no contracts or commitments beyond month-to-month. If there is a contract, be leery because there is no guarantee they will honor ‘refunds’, etc. Do some analysis to determine how much you would have had to spend to start a business if you didn’t enjoy all the benefits that an affiliate program provides. You will be amazed at the deal you are getting if you consider what the costs would be otherwise.There are product development, market research, programming, website development, and operations management, etc.. If you have to do all this for yourself, you may be looking at years before you generate any income. You may be paying a lot of money if you need to hire people to do all of the above. Afffiliate programs also have operations expenses like any business. So don’t begrudge the program their paltry membership fee. Realize that your appreciation should extend to forgiving them because they need to maintain their business operations and as such need also to generate income to keep it all rolling. They could not provide all that they do and also pay affiliate commissions if they couldn’t generate any income themselves. It’s no crime. All you need to do is to consider that cost as ‘the cost of doing business’ and accept it gratefully since it is really such an unbelievable deal. Don’t get in a big rush because you have decided 30-days is enough time to judge a business opportunity. Try not to think about the little bit of money you are spending and instead focus your attention on what needs to be done to promote your business and the opportunity you have to learn. The more you apply yourself the sooner you will begin to see results. At some point, you may wish to add more affiliate programs to your portfolio of business opportunities. If you increase the number of things you have to offer, your income can increase proportionately. Just as the Internet has been called a ‘vast sea of information’ it also represents unlimited possibilities to find out how to do whatever you are seeking. Making money online is entirely possible if you are willing to expend the time and effort to build and develop a business. If you keep in mind the theory that nothing is ‘written in stone’ you can have a flexible plan that can easily be changed as you learn more and/or change your mind about what you want to do. Nothing legitimate should have any contracts beyond month-to-month so that you can always back out of anything at any time for whatever reason. If there is a contract or large ‘admin’ fee for joining, R-U-N away. You can join many affiliate programs free and earn commissions when you are able to generate a sale. You can stick with this model for the duration as many people have and are making millions (over time). It is very easy to start this way as they provide a ready-made web page that you can use to advertise. If you have any money at all to invest you can usually make more money and find higher quality products and services than you can for free. However if all you can afford is free, then go that way for now. There are other models that may appeal to you to start making money online. 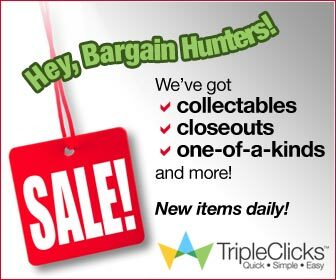 For example, using an auction site or classified ad bulletin board to start selling merchandise. You might start this with no inventory or product just by identifying all the things that you have in your garage or house that are in good condition that you are not using. If you see online business more like a store, then you can become an independent distributor of products. There are any number of niches that may appeal to you, such as health and beauty products like vitamins, diets and/or lotions (treatments). If you like the ‘high-end’ you can be a distributor for electronics (phones, computers) or telecom companies (satellites, wireless, etc). It is usually free to sign up to become a distributor. Note that there should be no reason for you ever to have to purchase an inventory or purchase anything every month. Any reputable company knows how to ‘drop-ship’ and you would just process the orders and the company would ship it right from their warehouse to your customer. If you find a company that requires this type of investment, R-U-N away. A really fun business to have would be if you have any talent with arts and crafts. You can create beautiful gifts and sell them online. You could create a simple website or even a blog that includes a list of your inventory including pictures, your price list and an order form. The easiest and free way to process payments is to use PayPal to do your sales transactions. They will provide the payment button, the code, etc., all for free and you pay only a very small fee on each payment received. Do not get involved with ‘shopping carts’ and ‘payment gateways’ that will cost you a fortune even if you never use them. Paypal accepts all major credit cards.